When I was working on my One Pad Challenge I made several grid cards. 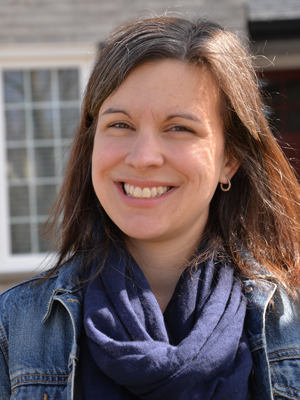 They are very simple, which I love, and they make it so easy to combine different patterned papers. 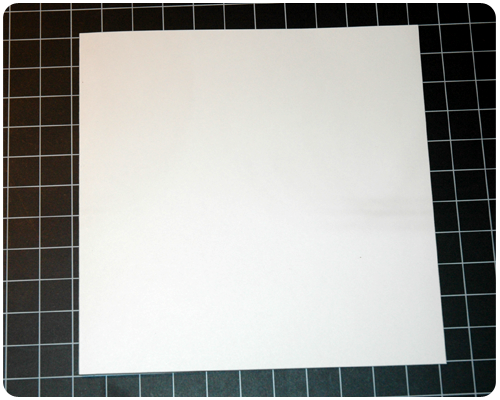 Today I would like to show you how I make two different style grid cards. 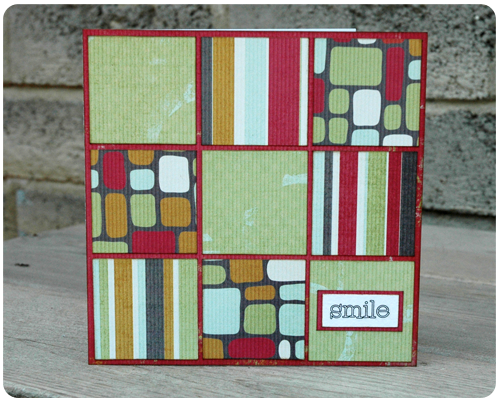 To make a card with nine small squares in the grid like this one begin by making a 5.5 x 5.5 inch card base. Cut a 5.5 x 5.5 inch piece of cardstock. 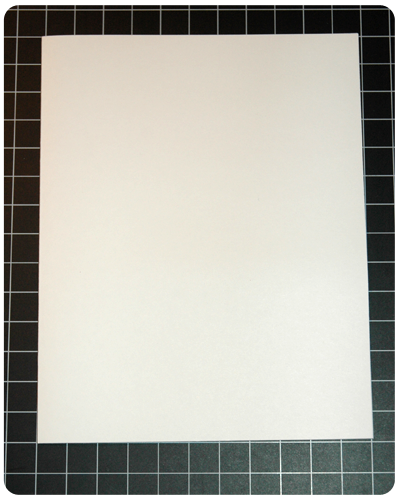 Adhere the cardstock to the front of your card base. 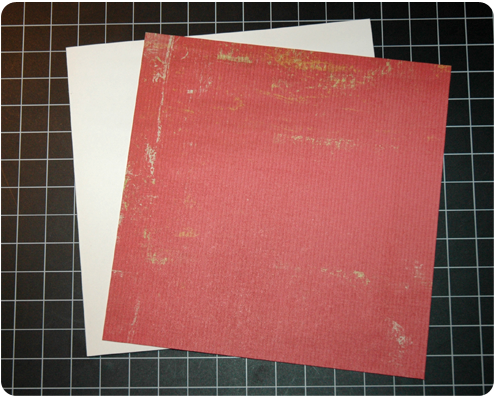 Select three coordinating patterned papers and cut three 1.75 x 1.75 inch squares out of each paper. Arrange the squares on your card. How you arrange the patterned paper squares is a matter of personal taste. You may want to think ahead to where you want your sentiment to go and place a less busy/detailed square of patterned paper in that spot. It is optional, but I always ink the edges of my squares so that they pop against the solid background. Adhere your small squares to your card. To get the same spacing between all the squares I just eyeball it, but you can measure if you would like. 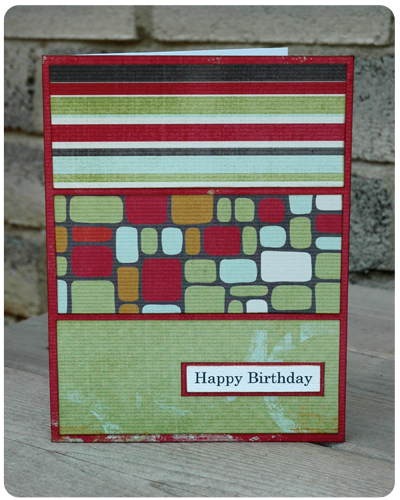 Mat your sentiment with a small piece of cardstock and adhere it to the bottom right square. 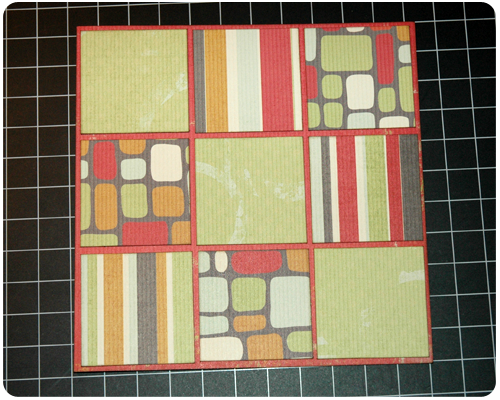 To make a card with three large squares in the grid like this one begin by making a 5 x 7 inch card base. Cut a 5 x 7 inch piece of cardstock. 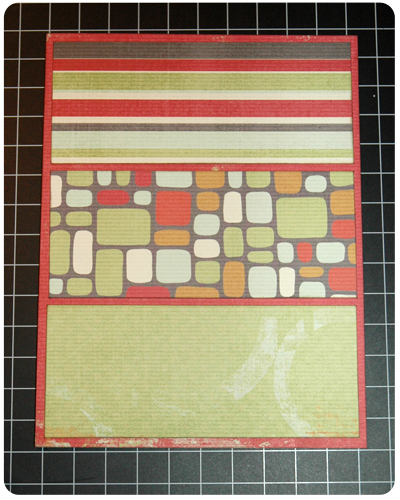 Cut three blocks 4.75 x 2 inches from three different patterned papers and arrange the blocks on your card. Again, how you arrange the papers is totally up to you. Ink the edges of the blocks and adhere to your card. 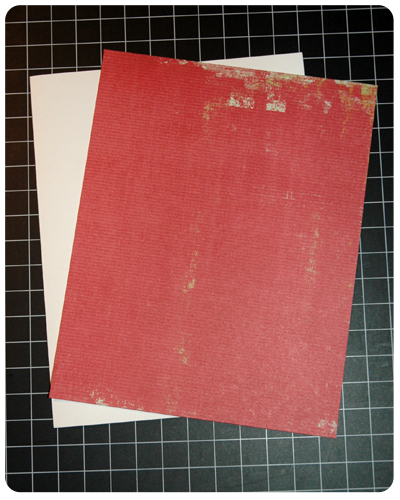 Mat your sentiment with a small piece of cardstock and adhere it in the bottom right corner. And there you have it - two lovely grid cards. I hope you have fun making your own.